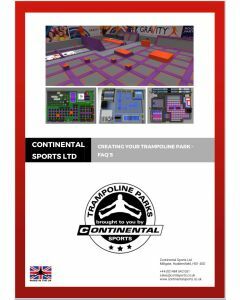 Continental Sports is the largest UK manufacturer and installer of trampoline parks. 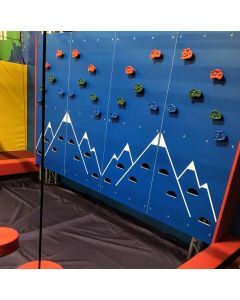 From a standing start some three years ago, we have installed over 45 parks throughout the UK, and more recently in France, Spain, Luxembourg, Saudi Arabia and Pakistan with many more at the design and manufacturing stages. 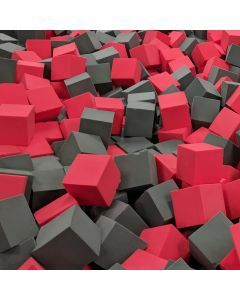 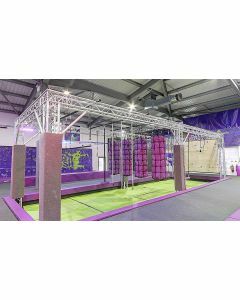 At Continental we have used our huge experience of manufacture and installation of gymnastics and trampolining equipment to develop a modular system for trampoline park installation. 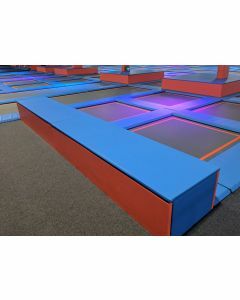 Dodgeball - netted zonal areas to play the amazing fun game of ultimate dodgeball! 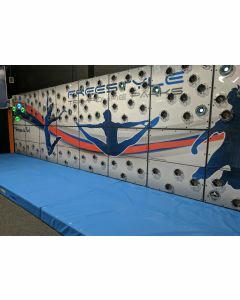 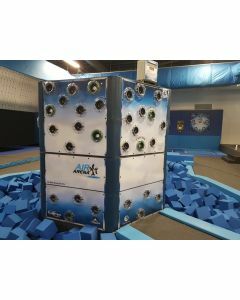 Performance and "Walk-the-wall" trampolines for those who want to bounce higher and show off their skills! 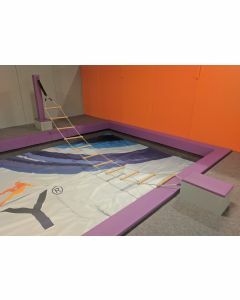 Parkour & freestyle areas for tricking, vaulting and just being chilled! 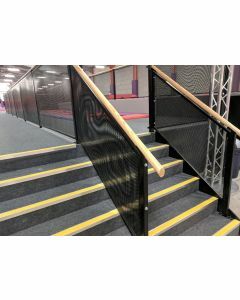 Our bespoke in-house manufacture enables you to have your own "look and feel" for your facility with colours of padding and beds to suit your scheme - for example we offer 28 colours of PVC for padding, and 6 colours of UltraMesh for beds. 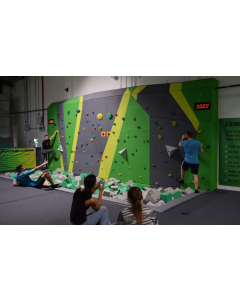 Please call us on +44 (0)1484 542 051 and ask for one of our technical sales team who will be pleased to start work with you on your project. 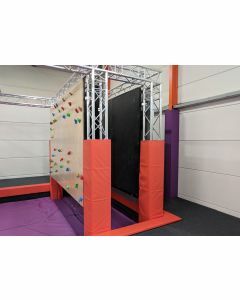 In the meantime please refer to our Trampoline Park FAQs page on trampoline parks that will answer many of your questions, or please download our handy guide booklet - "Continental Sports - Trampoline Park System FAQs"
Fidget ladders for adventure parks - can you reach the end without falling?